Due to the importance given to the RAs as the preferred medium of exchanging knowledge among members of the academic community, a substantial body of research has been dedicated to explore the writers’ problems encountered in writing or publishing the RAs (Braine, 1995; Flowerdew, 2000; Li, 2006). 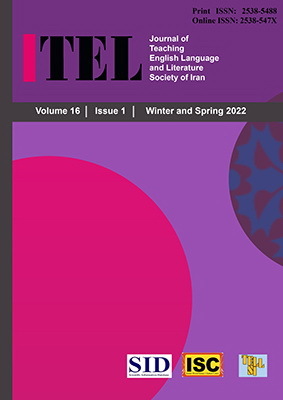 Although, Iranian post-graduate students (IRPGS), like other non-native English language users, are most often seen to have difficulties in providing a well-written piece of research for publication, to date, few, if any, studies have investigated their difficulties in RAs’ writing for publication in established journals. To this end, a corpus of IRPGS’ rejected articles for publication was analyzed guided by a developed evaluation checklist to pinpoint their main difficulties. Furthermore, a sample of 180 Iranian postgraduates filled out a questionnaire containing in-depth details on the basic principles of doing and writing research papers so as to identify their main challenges in this respect. Through the questionnaire, subjects’ perceptions regarding observing RAs’ conventions were, also, evaluated. Analysis of the IRPGS’ rejected articles revealed that the writers had the poorest performance in writing the RAs’ Literature Review. The results of the questionnaire revealed that the respondents reported writing the Discussion section as their major concern in research writing process. There were some similarities and differences between the writing problems identified both in the analysis of the corpus and the perceptions of the subjects answering the questionnaire. Finally, the respondents demonstrated a moderate level of awareness concerning observing the RAs’ standard structure and maxims.